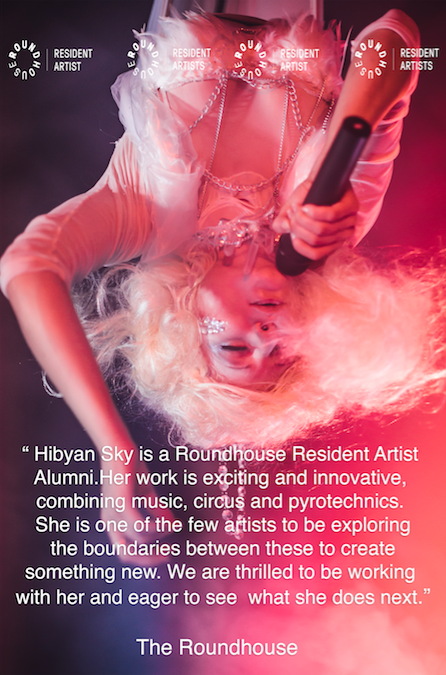 Hibyan Sky is a multi-skilled performer merging music with performance art including dance, aerial, fire, pyrotechnics and more. Hibyan is a Roundhouse Resident Artist (2016-2017) and over the course of her career she has performed internationally as far as the Maldives and in many European countries including Germany, Luxembourg, Italy and the UK. 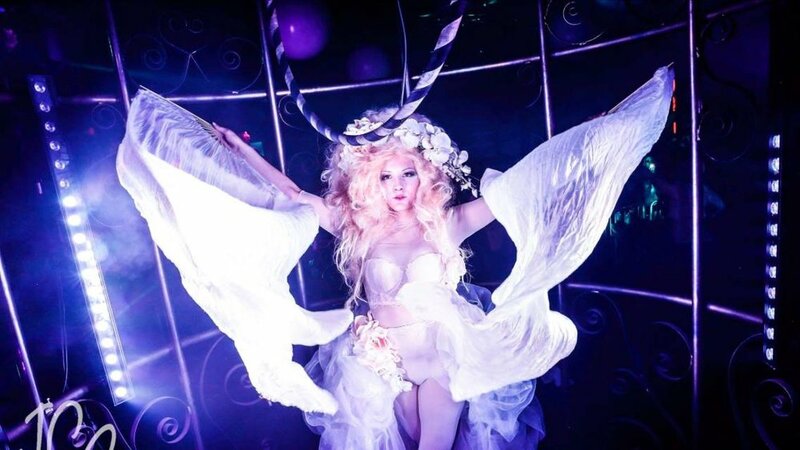 Other venues, festivals and clients she has performed for also include The Coronet, The Vaults, Glastonbury, Troxy and The Roundhouse main space together with corporate performances for Mini Cooper, The London Marathon, Bloomberg, Reethi Rah (Maldives) & many others.